The post Come See About 5 Sighthound Dog Breeds by Lynn M. Hayner appeared first on Dogster. Copying over entire articles infringes on copyright laws. You may not be aware of it, but all of these articles were assigned, contracted and paid for, so they aren’t considered public domain. However, we appreciate that you like the article and would love it if you continued sharing just the first paragraph of an article, then linking out to the rest of the piece on Dogster.com. Sloughis are a sighthound breed that have hunted in North Africa for centuries. Photography © Peter Virag | iStock / Getty Images Plus. We’ve been hunting gazelle, fox, jackal, rabbits and wild pigs in North Africa for centuries. We’re distinguished for our efficient body builds, nobility, speed, stamina and melancholy expressions. Rather than over-focus on your definition of intelligence, let’s discuss our aptitude. 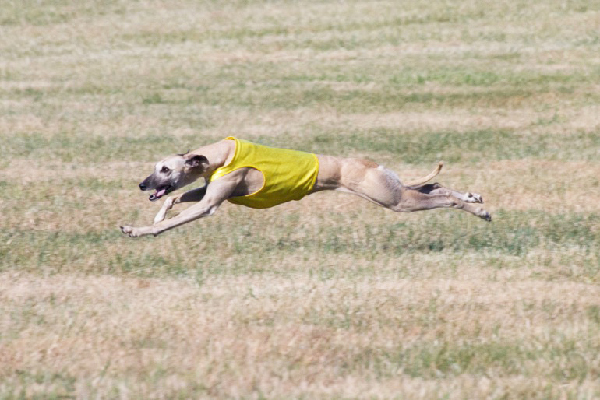 We sighthound breeds generally see “better” than other breeds, at least when evaluated by our quick reaction toward fast-moving objects at significant distances. This visual aptitude, along with our athleticism and endurance, enables us to successfully hunt game across large desert expanses. Nobles, kings and chieftains throughout history saw little value in teaching us Sit, Stay or Roll Over commands. 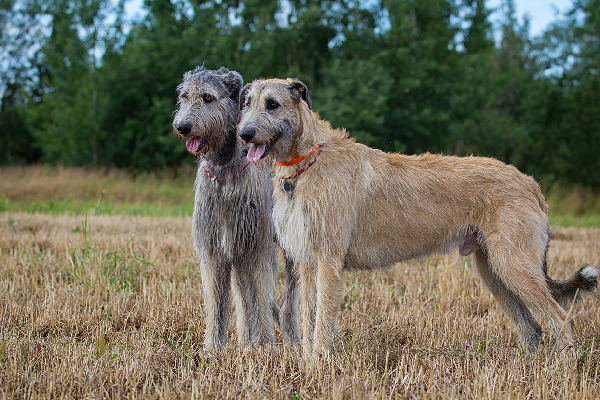 Irish Wolfhounds have two advantages in hunting — superior vision and height. Photography by DragoNika / Shutterstock. We’re a powerful breed, developed in Ireland to hunt wolves, stags, boars and elks. Favored with the aristocracy, we were gifted to royalty and nobles across the continents. Famous for our height, we also have extraordinary vision. As sighthound breeds do, we needed to see animals moving, even at a distance, and in faint light. Our eyes sit slightly toward the sides of our heads, offering a somewhat wider range of vision than yours. We long-muzzled sighthounds have an especially wide field of vision, allowing us to hunt prey on the horizon. As for working obedience, we take instructions from humans generally well. In Stanley Coren’s 1994 Intelligence of Dogs report (ranking breeds by our readiness to learn and obey commands), we’re ranked #41, placing us in the average working/obedience intelligence group. We’d also likely top any instinctive intelligence ranking. 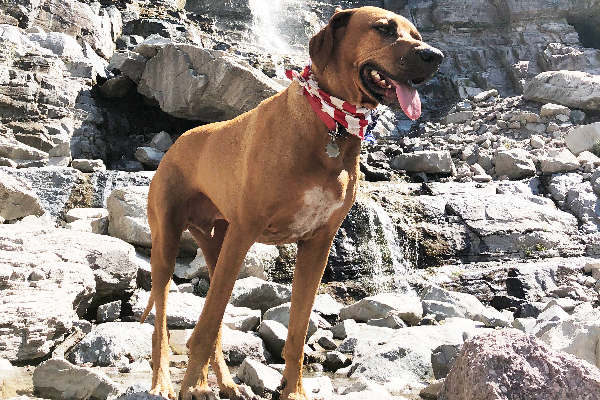 Rhodesian Ridgebacks are game for any adventure. Photography courtesy Cinda Adams Brooks. Our forefathers accompanied Dutch and German farmers and ranchers traveling from Cape of Good Hope shipping centers to new homesteads. Early Rhodesian Ridgebacks worked as big-game trackers, but also protectors of property. Notable for our ridged backs, we got famous for tracking and holding lions at bay. Clearly, we didn’t develop this reputation from sitting around waiting for humans instructions. We’re loyal, protective and always game for adventures. We’ll often respond to your high-handedness with stubbornness, so let’s instead focus on mutually enjoyable activities. We won’t drag behind on hikes! Whippets are a sighthound breed hailing from Great Britain. Photography courtesy Mary Huff. 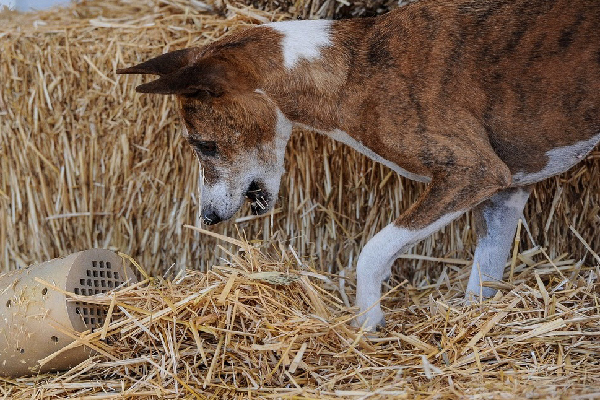 Compared to sporting and herding dogs who work closely with people (and rely on a human cues and commands), sighthound breeds like us were bred to chase and run game down without your instruction manual. Our ancestry traces to ancient, graceful sighthounds developed for coursing. We were developed as the working man’s racehorse in 18th- and early 19th-century Britain. Less expensive to keep than Greyhounds, we provided entertainment, brought small game to the table and offered companionship. Today, we’ll respond most readily to your commands if they’re correlated to movement sports. May we recommend agility or coursing events? Basenjis are fairly silent sighthounds. Photography courtesy Linda Siekert and photography by Debbie A. Maerke. Celebrated for our barklessness, we trace our origins back to Africa as courageous hunting dogs. My silence facilitated my hunting. We frequently pursued prey out of sight of hunters; we didn’t require their guidance. We’re adaptable go-getters, with take-care-of-ourselves attitudes. Sometimes humans label us as willful or obstinate, but we prefer the designation “self-governing” or “self-determining.” In work and play, we’re clever, alert, perceptive, adaptable and ingenious. Those descriptive words aren’t the synonyms of dumb, now are they? Thumbnail: Photography by Best dog photo / Shutterstock. 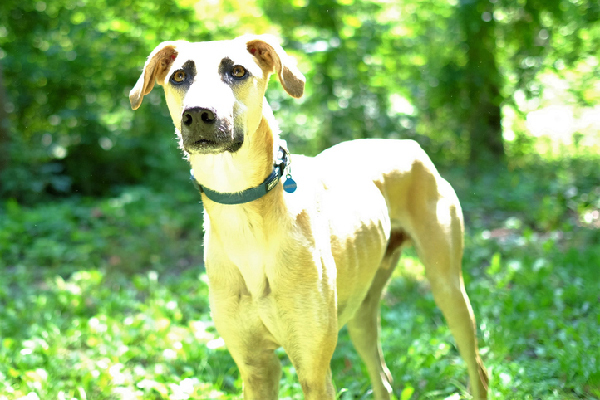 Tell us: Do you have a sighthound? What breed or mix of breeds is she?